By creating a simple but effective game plan you will get better result by empowering the word-of-mouth of your business and growing your fans and your business. Remember, you never promote a product, you are there to communicate and relate. If you approach social media with sales as your end goal, your audience will notice and, most likely, you will be ignored. People like FREE stuff, raise brand awareness to your social network by giving something away or by hosting an online game or contest. Send your Email Promotion through our partner Constant Contact the leading email marketing, online survey and event marketing tools. 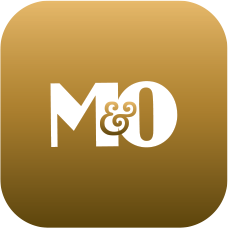 M&O will help you create an email blast with your promotion so we can send it to you emails list and fan base. M&O will post in all your social networks your new promotion to engage not only your existing audience, but create new fans, too. After the promotion is sent you will be able to see your results and stats in Constant Contact and in the “Insights” of your Facebook “FAN” page.